As fish disappear from the oceans, Israeli scientists are working on improving dryland aquaculture. So far, guppy sales are proving their point. The ocean is massively overfished, chiefly because the burgeoning population of man loves to eat fish. Yet with the supply dwindling thanks to over-exploitation and a few other problems such as pollution, what are fish lovers to do? Until decades pass and the stressed piscine populations replenish themselves, if they do at all, the answer will have to lie in farming. 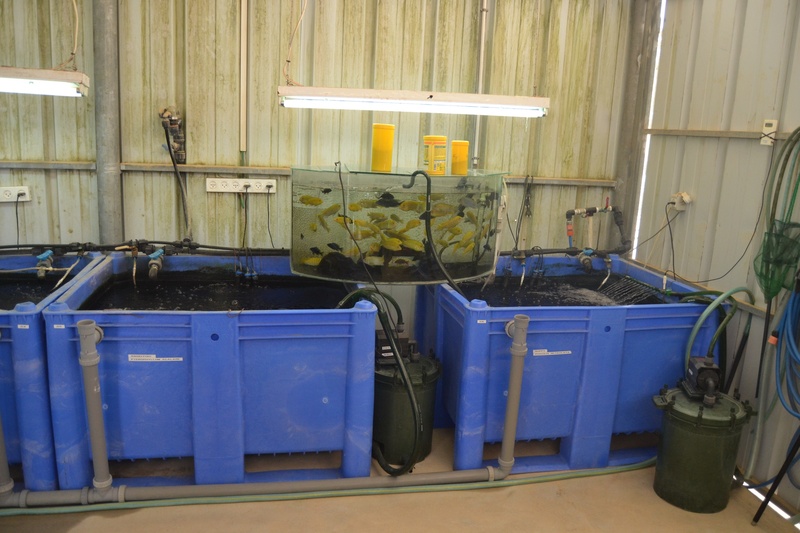 "Traditionally, fish are farmed in ponds, raceways and cages in the sea," says Dr. Dina Zilberg, an expert in fish disease at the Jacob Blaustein Institutes for Desert Research at Ben-Gurion University of the Negev. People have more or less nailed sustainable techniques for farming in cages in the ocean, but dryland fish farming is tougher to make economically feasible. Moreover, in the desert, land is cheaper and more available. Perhaps best of all, the fish farms are isolated from other water bodies – and diseases – so the fish can’t escape or interfere with the natural aquatic ecosystem. "Fish farming is crucial mainly in countries suffering from aridity," says Prof. Hendrik Bruins, an expert on food security at Ben-Gurion. "In places like these, if they have groundwater, it's usually brackish. Ours is too. That's hard to use for agriculture but has been found suitable to grow fish, which provide a very high quality of protein." Which isn't to say it's easy. One such project in Africa failed because the women who had to lug water long distances by foot every day suddenly found a source much closer to home – the fish pond. Within a short while the pond was gone, Bruins chuckles. 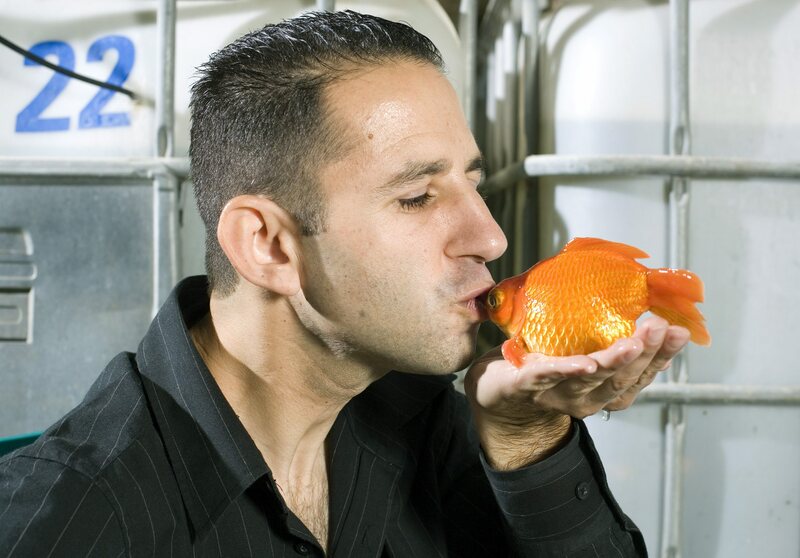 Israelis may not realize it, but almost all the fish they eat is farmed, say the scientists. There are precious few left in the Mediterranean Sea, while the Sea of Galilee, known locally as Lake Kinneret, hasn't been the main source of St. Peter's fish for years. Some is farmed locally, but much of the fish Israelis eat is imported from Asian fish farms. Meanwhile, as fish farming took off around the world, so did the backlash against it, partly due to animal rights (caged fish are kept in extraordinary density) and pollution (including the detritus from the tightly packed fish). There's even a Global Alliance Against Industrial Aquaculture, whose beefs include the claim that farmed fish can be unhealthy to eat and that escaped farmed fish have been infecting wild populations with disease. But if people want their tilapia tartare and tuna melts, farming is how it will have to be. The biggest problems with dryland fish farming are that it's difficult, expensive and dirty. But what if the fish farm can be made part of a wider farming system that utilizes piscine waste and water? One concept of dryland aquaculture is based on the principle of reusing the water in which the fish are bred and grown, rather than discharging it into the sewage system. The main byproduct of "intensive aquaculture" systems (crowded fish farms) is fish feces. Now breathe deep and think of that as nutrients for plants, just as horse manure has been over the millennia, and there you have it. As one of the effects climate change is expected to have on Israel is desertification, the more water Israel can save while farming the better. This is a truism for the whole planet, where potable water is ever scarcer. Nor is the technique a theory; it has been done with fish farms watering a desert date plantation. At the Blaustein Institutes, Prof. Sammy Boussiba of the Microalgal Biotechnology laboratory demonstrates a test system that feeds the fish wastewater to an artificial pond of gorgeous water lilies, which seem to thrive on the stuff. 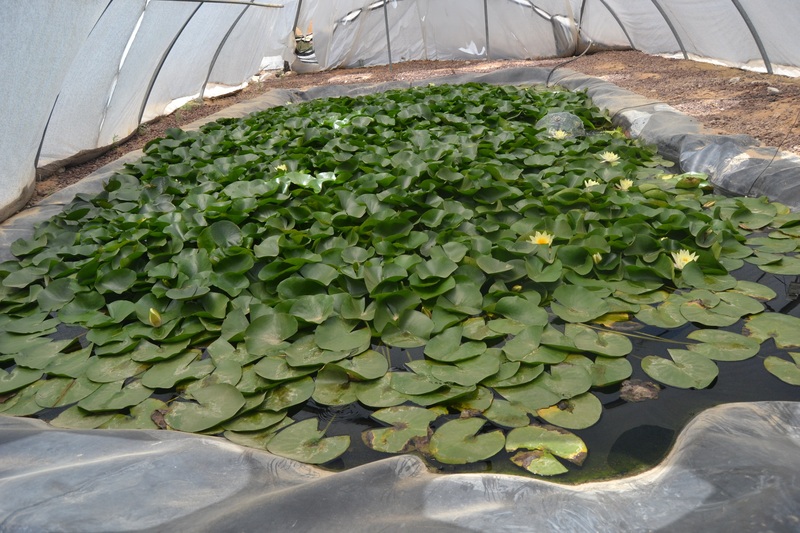 Water lilies can be replaced with a more useful hydroponic crop, Prof. Amit Gross of the Environmental Hydrology & Microbiology Department at the desert campus points out. But that's not the last stop: The wastewater from the water lilies hydrates dryland crops such as olives and dates. Thus the same water gets reused multiple times, each time growing a crop mankind badly needs (or pretty flowers). A second system Gross and his team are working on is a completely closed system – "or 99 percent closed," he qualifies. Wastewater from the fish is completely recycled through a complex system of filters that cleans out toxins and sludge. Then all ("99 percent") of the water goes back to the same fish. Gross notes that this system can work anywhere on land, as long as there's a source for the original water. He predicts that these systems will take at least 10 and possibly 20 years to become true sources of food for people. As for that pesky 1 percent, it originates in a need "about once a year" to flush the system, Gross estimates. In the end, the idea is to create ecologically sensible, sustainable and, not least, economically feasible forms of dryland fish farming that could help resolve the world's protein needs. Again, these are systems under development, so meanwhile dryland fish farming is expensive and often doesn't pay. One reason is disease. When densely packed fish catch a disease, whether viral, bacterial or fungal, it can sweep through the entire population in no time, explains Zilberg. Diseases can arrive with new batches of fish that are brought to the farm. It's bad enough in a closed dryland environment, but at sea it can be worse, infecting wild fish. One approach to strengthen fish resistance being tested at the Desert Research laboratory, in collaboration with Dr. Inna Khozin-Goldberg from the microalgal biotechnology lab, is to add microalgae to their diet. Microalgae are a significant dietary component for fish in nature, providing a variety of nutritional components. "In the case of farmed salmon, each fish gets an injection against viruses," says Zilberg – but salmon farmers can afford to do that because people will pay enough for the fish to cover the cost. People won't pay that kind of money for carp or hake. So inoculation isn't the answer. But treatment depends on the condition, which first has to be diagnosed and doesn't always work. One can lose the farm, literally. These are reasons that several Israeli efforts at dryland fish farming tend to come a cropper, one being the Negev's famous shrimp farm. ("There were two of them," Gross observes.) The shrimp were fine but the farms collapsed economically and were converted into other things. Many fish farmers have found the answer in breeding ornamental fish, yes, the pretty ones in aquariums. For that, people are prepared to pay.